At Modern, we live our Mission. We don’t refer to it as a mission statement, something to be framed, place on the wall, and ignored. Rather, it’s how we work, live, interact with each other, and lead our team. Within our Mission, you’ll find the passage that states we encourage everyone to be creative, innovative, and motivated to improve the value we bring to our customers and shareholders. Further, we share our quest to continuously create a culture of honesty and respect, where a sense of trust and mutual confidence will flourish. Throughout our leadership, you’ll find that each member lives The Mission of Modern Transportation. 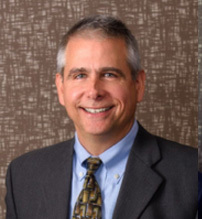 Having joined Modern in 2006 as Vice President of Business Development, Mr. Cozzens was instrumental in the company’s growth and technological transformation. In 2010, he was promoted to the role of President, charged with re-engineering business processes to increase efficiencies and operating margin, along with charting growth in new liquid and dry bulk markets, including additional chemical and hazmat opportunities. Prior to joining Modern Transportation Services, Mr. Cozzens held management positions in the high-tech and software sectors. In his role immediately prior to joining Modern he was an executive with a logistics optimization company and worked directly with Fortune 500 manufacturers and the Department of Defense. Mr. Cozzens holds a Bachelor’s Degree from John Carroll University in Cleveland, OH and an MBA from Carnegie Mellon’s Tepper School of Business with focuses in finance and logistics management. 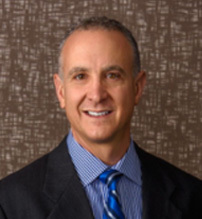 In 2011, Mr. Bartolacci joined Modern Transportation as our Executive Vice President and Chief Financial Officer. 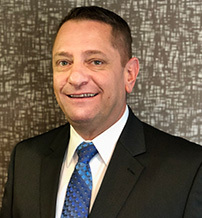 Prior to joining Modern, Mr. Bartolacci served as CFO for a conglomerate of service companies and President of an environmental engineering consulting firm. In his current role, Mr. Bartolacci’s team is responsible for Modern’s financial controls and reporting, as well as information technology. Mr. Bartolacci earned his Bachelor of Science degree in Business Systems and Accounting from St. Vincent College in Latrobe, Pennsylvania. He has also earned his Master’s degree in Finance and Management at Carnegie Mellon University in Pittsburgh, an institution for which he has served as a professor of finance for the past twenty years. In 2014, Ms. Bennett joined Modern Transportation as our Director of Human Resources, following a successful tenure with FedEx Freight. As a complement to her vast experience in the transportation industry, Ms. Bennett brings significant experience in Sales, Operations Leadership, and Human Resources to her role at Modern. 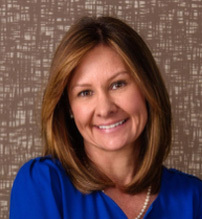 In addition to the safety of our people, equipment, and facilities, Ms. Bennett is also responsible for the design and development of HR strategies and processes that drive Modern’s objectives and the company’s unique culture. She also leads a team responsible for benefit management, employee relations, recruitment, and payroll. Ms. Bennett attended the University of Houston, where she earned her Bachelor’s degree in Business Administration. 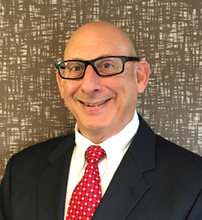 Mr. Gallowitz, an accomplished senior-level executive with a track record of successful strategic and tactical leadership within the transportation industry, joined Modern as Vice President of Operations in February 2018. From his service in the United States Merchant Marines to his vast strategic operational experience with Matlack Systems Inc., Trimac Transportation, and Dupre Logistics, Mr. Gallowitz has established a reputation marked with leadership and operational excellence. In 2014, Mr. Smith joined Modern Transportation as our Sr. Director of Equipment & Maintenance. Following his tenure of two decades with Roadway and YRC Freight, Mr. Smith’s transition to Modern charges him with numerous responsibilities including all vehicle maintenance, vehicle purchase and lease agreements, vehicle repair contracts, and real estate leases. Mr. Smith is a graduate of Clarion University of Pennsylvania, where he earned his Bachelor of Arts degree in Business Administration. Mr. Shiflett began his career at Modern in February 2018. Having been instrumental in developing an advanced degree of safety accountability at Indian River Transport and Dedicated Logistics, Mr. Shiflett brings an enhanced knowledge of Federal Safety Standards to a company that has recently accepted its thirteen consecutive Platinum National Safety Awards from Great West Casualty Company. A native of Utah and having studied at Salt Lake Community College, Mr. Shiflett also leads Modern’s on-track initiative to gain certified status as a Responsible Care fleet in December 2018. 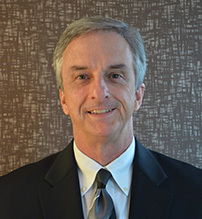 Mr. Perry joined Modern Transportation in 2015 as the Director of Modern’s Logistics Division. After a successful tenure as the Director of Operations for A&R Logistics, Mr. Perry is now responsible for building upon the established brokerage portion of the overall Modern offering. A graduate of University of Iowa’s Henry B. Tippie College of Business, Mr. Perry earned his Bachelor of Business Administration degree, with a focus on Marketing. Mr. Kuhlman joined Modern Transportation in 1988. 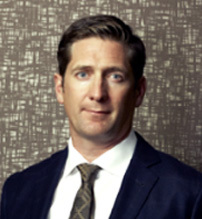 At the onset of his career at Modern, he led safety, dispatch, and the brokerage operation. Eventually, he was selected to serve as VP of For-Hire Operation. As the company grew, positions became more specialized. In 2002, Mr. Kuhlman transitioned to his current role, where he focuses primarily on safety education and compliance. 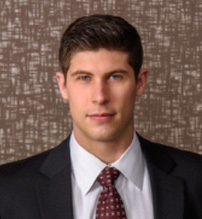 Mr. Kuhlman graduated from Ferris State University, earning his Bachelor of Science degree in Business Administration. Mr. Dougan has been a part of the Modern Transportation team since 2014. 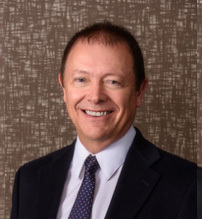 Serving as the Director of Corporate Development, Mr. Dougan is responsible for the development and delivery of education throughout the Modern system. Following an eighteen year tenure with FedEx Freight, Mr. Dougan brings tremendous corporate education experience, coupled with a passion for creating a corporate culture that promotes employee engagement. Mr. Dougan is a graduate of Allegheny College where he earned his Bachelor of Arts degree in Communications. After having enjoyed tremendous success in numerous transportation arenas, including specialty chemical and petro-chemical, Mr. Wilt has assumed the responsibility as our Director Corporate Accounts. Having joined Modern in 2016, Mr. Wilt is charged with strategically accelerating Modern’s continued growth in the liquid chemical and dry bulk sectors. Mr. Wilt began his career with Carolina Freight Carriers, later spending 14 years at Norfolk Southern’s Triple Crown Service intermodal subsidiary. 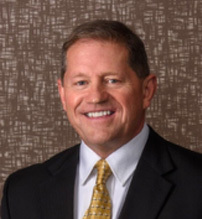 Since 2004, he has served in executive leadership positions at Quality Carriers and, most recently, Schneider Bulk. Originally from Lorain, Ohio, Mr. Wilt is a graduate of the University of Toledo, where he earned his Bachelor of Arts degree in Public Relations and Advertising.